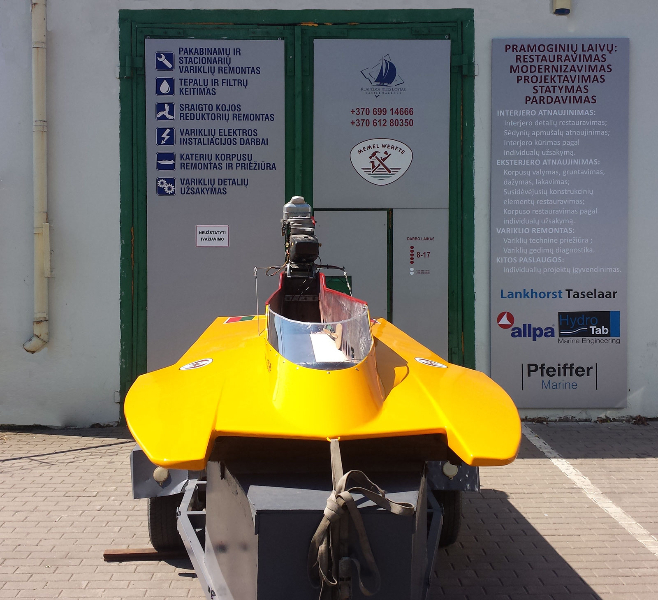 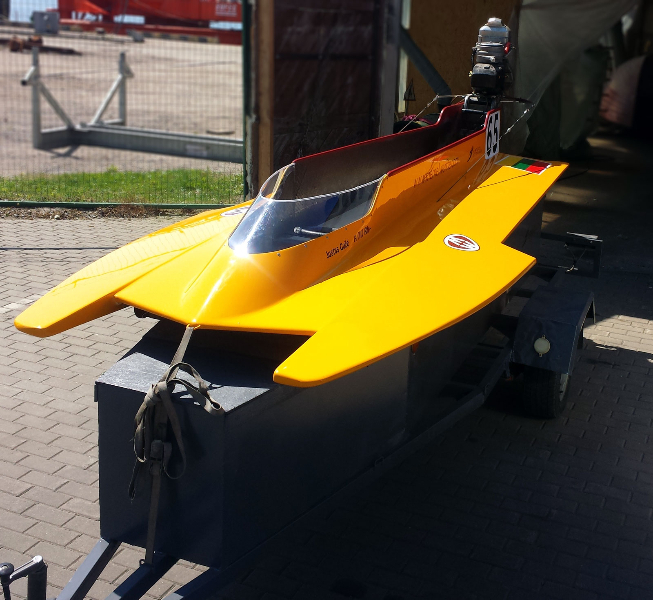 In May 2014 we have sponsored and restored OSY 400 class motorboat of VšĮ “Klaipėdos motorlaiviai” (Klaipeda Motorboats). 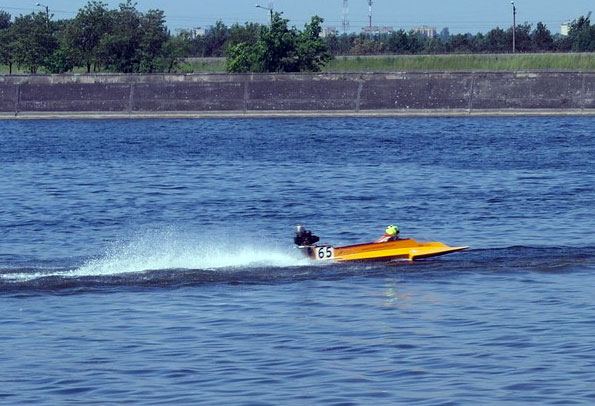 This happened just before the annual “Lithuanian Federation of motorboats” Cup and the first stage of federation championship, which was held in Kaunas. 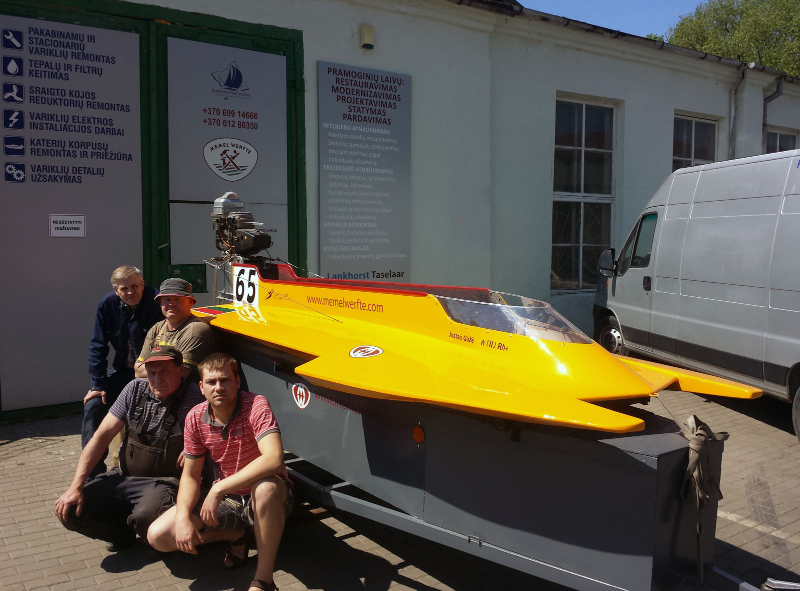 Hot weather and strong wind contributed to the challenge, nevertheless, this beautiful motorboat and its helmsman managed to achieve a 4th place. 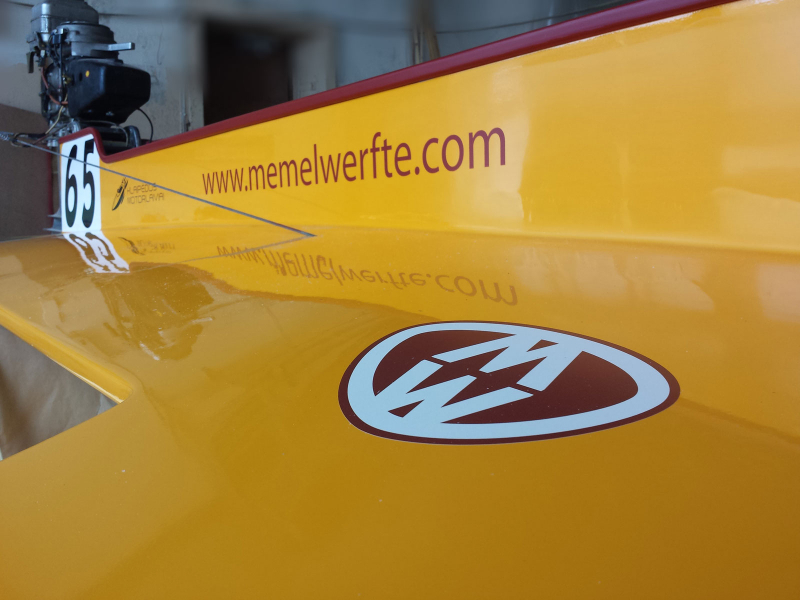 We will continue to cheer for our motorboat team!